Fodder. That name seems to conjure up thoughts of feeding cattle on a rural farm, perhaps hay or kale or silage. Agricultural, steady, purposeful, playing its part in sustaining the food chain we all rely upon. 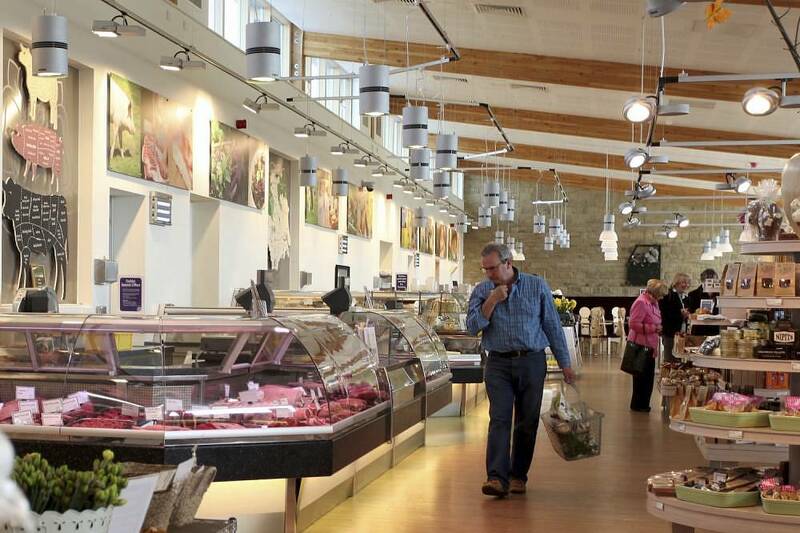 So, quite an appropriate name for one of the country’s leading farm shops celebrating local produce, linked directly to local farmers and their supply chain. The site itself, whilst a great base for the activities, had buildings which were uninspiring, just functional really without any character. They didn’t do justice to the quality of the events and certainly couldn’t be used to promote the business. Enter Heather Parry and Nigel Pulling with a vision. 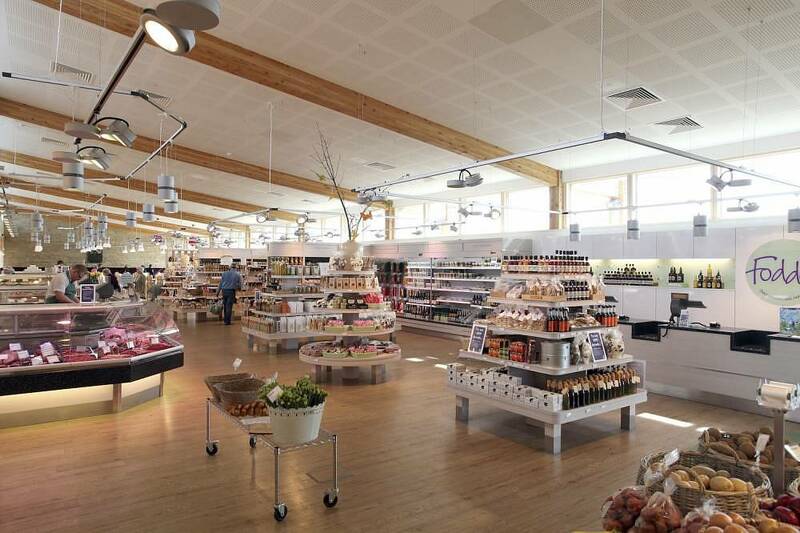 Firstly, they ran an invited architectural competition to design a new farm shop, offices and café to be the first phase of a new strategy for the whole site, with the emphasis on sustainability – not just the buildings but the whole of the agricultural industry. 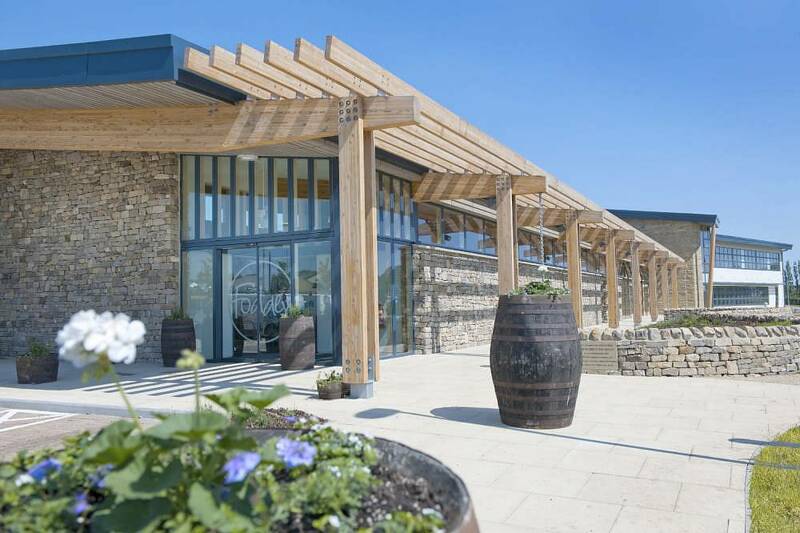 Won by architects P+HS, the building is a winner of many, many awards, and the building is bursting at the seams and looks set to expand both on site and in other locations [in Yorkshire obvs]. Even the furniture in the café was designed and made locally by Design in Wood. what do we do with all these left-over cauliflowers in the shop – oh, let’s make soup for the café – eureka! Next steps in the site’s redevelopment is the new exhibition centre.